A modern lifestyle that places emphasis on education and intellectual work means that it is necessary to spend a lot of time at the desk, reading, writing or working on a computer from childhood. This model is extremely demanding for eyesight. Office work is one of the most important causes of civilization diseases related to eye health. There is a progressive number of people who at increasingly young age are forced to use glasses, not because of birth defects but acquired ones. Lots of patients are struggling with chronic conjunctivitis or simply eye strain. One of the primary reasons for this is poor occupational hygiene. The key to protecting eye health is first of all ensuring proper lighting during work or study. Reading whether using a computer with insufficiently strong light sources quickly leads to the development of pattern defects. That is why we come to you with an offer of lighting that is not only a stylish element of the interior design, but above all perfectly fulfilling its function. 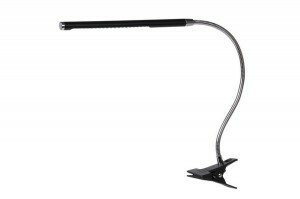 In our offer you will find a wide selection of lighting devices intended for use on a table, cabinet or desk. We offer products with a variety of styles Many of them use traditional light bulbs. 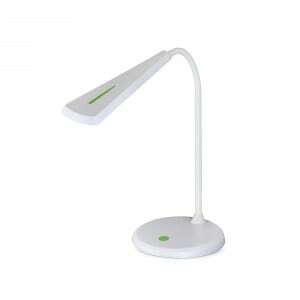 However, we recommend especially LED lamps for work or study. They provide a neutral, healthy to the eye color of light. It is very important that the diode be strong enough to properly illuminate the entire work area - usually desks, while not hurting your eyes. This type of lighting has additional advantages, among them primarily energy efficiency. Although the costs of the diode itself are higher than in the case of a traditional light bulb, the operation generates much smaller bills. And yet we are talking about devices used intensively in everyday use. 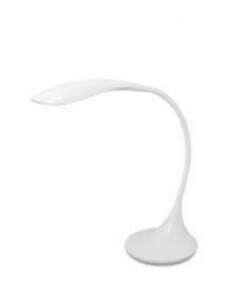 LED lamps are also environmentally friendly due to greater durability and elimination of the use of environmentally harmful materials. It happens that the need requires a good source of light in several different places, although not at all, for example when after working in the office we go to the living room to rest with a book. Purchase of several devices involves costs, while cable rewinding is cumbersome. That is why we meet your needs with the offer of LED battery lights. This solution guarantees convenience and mobility, and the possibility of using them wherever the light source is needed. When selecting devices for a table or desk, several issues should be considered. First of all, the size. 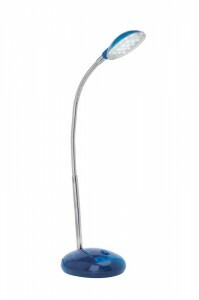 Small LED lamps will save space in the work space, but they must have sufficient range to illuminate the entire desired space. For the same reason, attention should also be paid to the possibility of regulation. It is worth choosing a favorable construction solution. One in which the diode is not excessively sloppy with a lampshade or a shade. It is a special challenge, just like in the case of a chandelier or a wall lamp, to choose the right product for a child. It should not be too delicate, prone to accidental damage. The bulb itself should be inaccessible, or it should be shielded to protect against scalding. 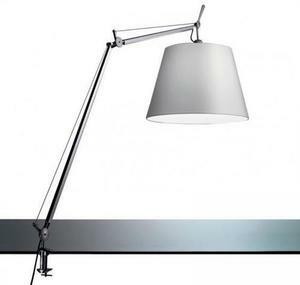 Finally, just like with a lamp intended for use by an adult, attention should be paid to the design so that the device fits into the interior and just liked it.